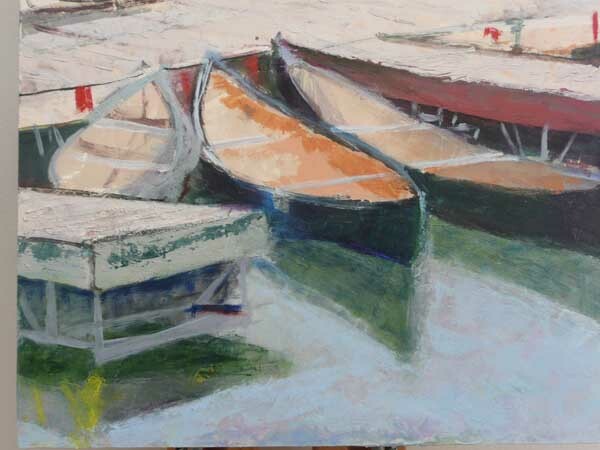 I took a bunch of snapshots of rowboats at a dock at Pinnacle State Park, in Utah (on US Route 89) this past summer and am only now starting to work with them. I love to paint reflections, any kind of reflections. 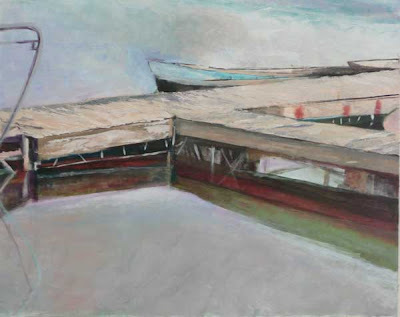 In fact, I remember trying to capture the edges of a dock and water reflections in a painting when I lived in Santa Barbara and was taking my first studio art classes. Painting something like this turned out to be way beyond what I was capable of at the time (okay, it was 30+ years ago). Way more than 10,000 hours of practice later, I'm still finding the process challenging! 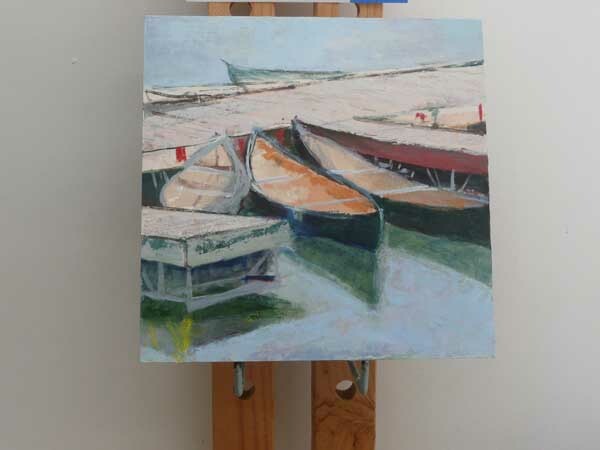 A detail of a painting in progress. 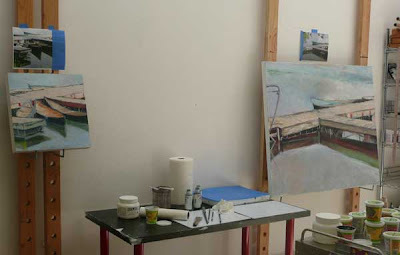 The two paintings, waiting for me to get back to work, as soon as I've posted this blog!